There are hundreds of films released every year in the US and the UK but films from one part of the world are still scarce. 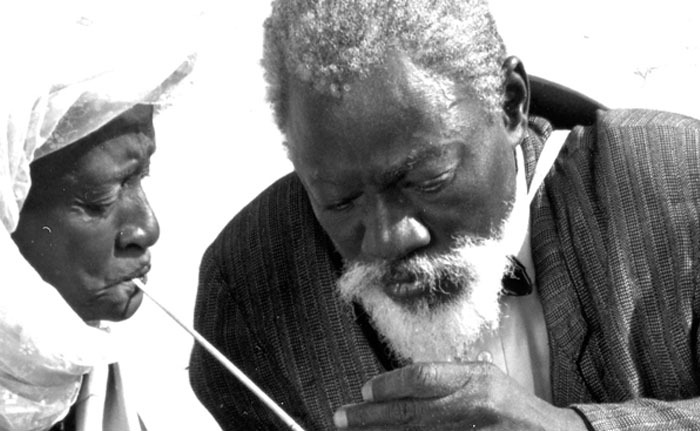 African films are screened only rarely and knowledge about African cinema is restricted. We are pleased therefore to promote two organisations doing something to plug the gap. Cinémathèque Internationale of Philadelphia has launched a new film series in collaboration with the African American Museum of Philadelphia. The series will present one film every third Thursday of the month to be screened at the museum, located at 701 Arch St. Philadelphia, PA 19106. The programme began with Ousmane Sembène’s Black Girl(Senegal/France 1966) and will feature Moustapha Diop’s The Doctor from Gafire (1986) in August. Jean‐Marie Téno’s 1993 political documentary Africa, I Will Fleece You!, Djibril Diop Mambéty’s surreal allegory Hyenas (1992), and Issa Traore de Brahima’s 2006 The World is a Ballet fill out the rest of the programme. The initial series ends in December with the locally shot Night Catches Us, a Black Panther narrative starring Anthony Mackie. Director Tanya Hamilton will be in attendance for a Q&A following the film. You can subscribe to a newsletter from the Cinémathèque (via the website) and keep up to date with events. In Scotland, African in Motion (AiM) offers something similar with screenings and discussions throughout the year and a festival in Edinburgh which this year runs from 25 October until 2 November with a theme of ‘Modern Africa‘. There will be a Symposium on African Popular Culture and a Short Film Competition. Screenings will be in both Edinburgh and Glasgow. This entry was posted in African Cinema, Festivals and Conferences. Bookmark the permalink.